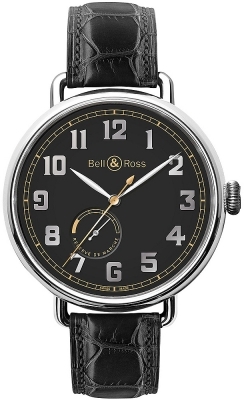 As part of a Bell & Ross Pocket Watch series, this watch is reminiscent of the first pilot watches of the 1920's and is designed to resemble the dimensions of a fob (pocket watch). 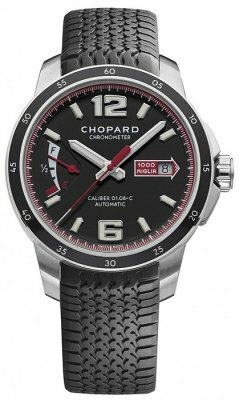 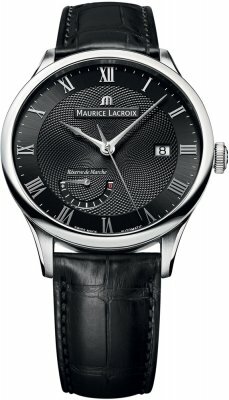 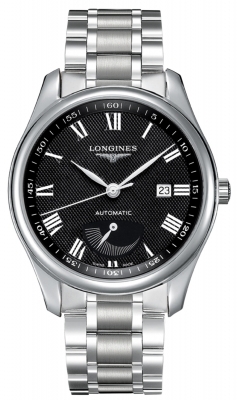 Polished stainless steel case witha black alligator leather strap. 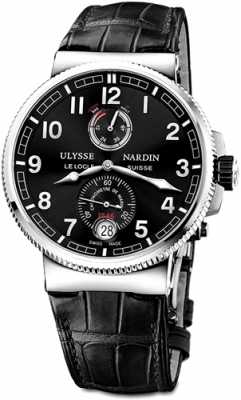 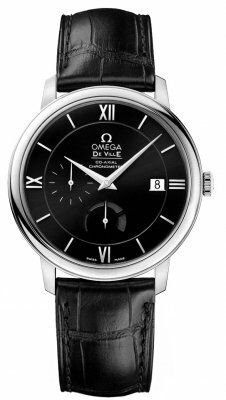 Black galvanized dial with white luminescent Arabic numerals and index hour markers. 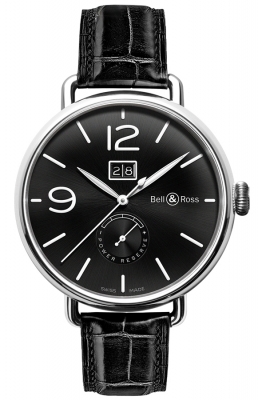 Date window loacated at the 12 o'clock position. 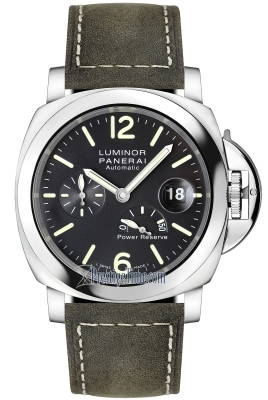 Power reserve indicator located at the 7 o'clock position.